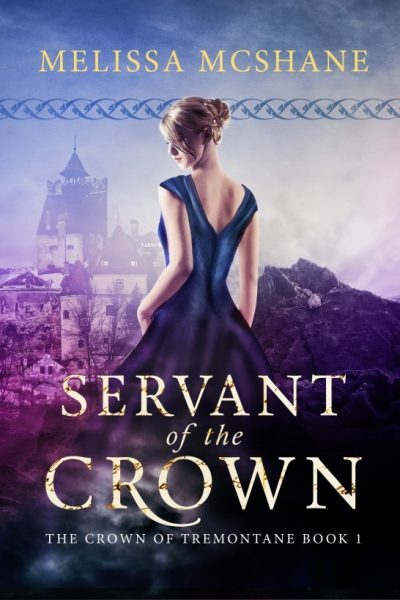 Servant of the Crown is the first volume in Melissa McShane’s Tremontane series. Alison Quinn, Countess of Waxwold, distrusts men. Every man she has ever met has wanted her title, her money, and/or her body. She has turned her back on romance to focus on her father’s publishing company. But rank comes with obligations. When Queen Zara North summons Alison to Aurilien to serve as a companion to Zara’s mother, the Dowager Queen, Alison has no choice but to obey. The Dowager Queen is friendly, if a bit naïve. Her son Anthony is also friendly. Too friendly. As the heir apparent to the unmarried and childless Zara, he is confident that he is irresistible. Alison and Anthony’s first meeting ends in a slap heard around the court. Queen Zara hopes to contain the resulting scandal. She orders Anthony and Alison to pose as friends for as long as it takes for the court gossips to become distracted by fresh events. Alison would rather not, but in a feudal society, she doesn’t have any room for choice. She complies and makes the best of the situation. Anthony for his part does his best to overcome first impressions. When sober and not pawing her, he proves a charming companion. He even takes an interest in the theatre, something almost as close to Alison’s heart as publishing. Alison finds Anthony not as bad as she first thought; she falls for him. Alas, first impressions were right. It’s heartbreak city for the bookish countess as the man who has finally won her heart is exposed as an utter cad whose interest in her was motivated by a spiteful bet. She flees the court, deaf to his pleas that he has come to genuinely love her. Books have always been a safe refuge for Alison. She hopes to find solace in the stacks of the royal library. But the Royal Librarian is oddly unwilling to allow anyone access to the stacks. This could be because he is excessively protective of his charges. In fact, it is because the old codger is selling off the contents of the library to line his own pockets. Once the ongoing theft is exposed, Zara summons Alison back to court and hands Alison the job of fixing the sadly neglected institution. There is just one catch. Traditionally appointing the royal librarian is the prerogative of the Scholia Masters who control the nation’s great colleges and through them the bureaucracies of the nation. The Masters are determined to defend, even extend, their power. The struggle over the royal library is the battleground on which the future of Tremontane will be determined. This novel’s plot is equal parts romance and two-fisted library science. The romantic plot may sound like a cliché. By the end of the book, you know it’s a cliché. I had hoped that the author would somehow manage to subvert the tropes she had introduced but … nope. Now it’s possible that this reviewer came at this from entirely the wrong angle. Perhaps the author felt that two-fisted library science had to be balanced with something that readers would recognize. As to the two-fisted library science plot…. Two-fisted isn’t an exaggeration. The Scholia Masters may not care enough about the Library to appoint a competent and honourable librarian, but they do care very much for power. Alison is well-educated and bookish, but she isn’t one of the Masters. Her appointment is a challenge to magisterial supremacy. The Masters respond with character assassination, sabotage, assaults, and a good old college try at putting a bullet through Alison’s head. I thought It a shame that this thrilling plot can also be read as “uppity, corrupt academics and their allies in government try to take power away from their rightful monarch in the name of academic freedom,” which does not play well in today’s context. Servant of the Crown is available here (Amazon), here (Amazon.ca) and here (Chapters-Indigo). It has been a few years since I read it, but I remember gun dueling librarians in Sean McMullen's Greatwinter trilogy. Genevieve Cogman's 5-book series, beginning with The Invisible Library, has a shot at it. The intrigue covers several universes, and the mayhem includes royal families as well as Librarians. The series has officially ended with the fifth book, The Mortal Word. I found them enjoyable.